Learn the effective solutions to get back pictures disappeared/missing from SD card and recover photos from SD card! 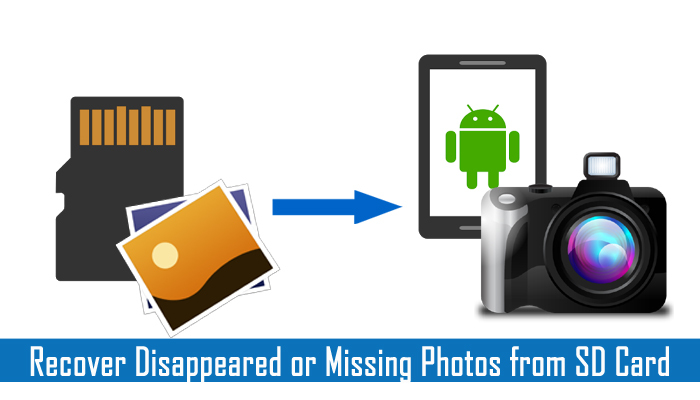 Summary: Photos disappeared or missing from SD card has become very annoying issue. Many of them are encountering with problem like photos gone on Android SD card. Nevertheless, there are few possible solutions mentioned in this article that will help you to get back and recover photos disappeared or missing from SD card. Just read the article and follow the solutions mentioned in the post. 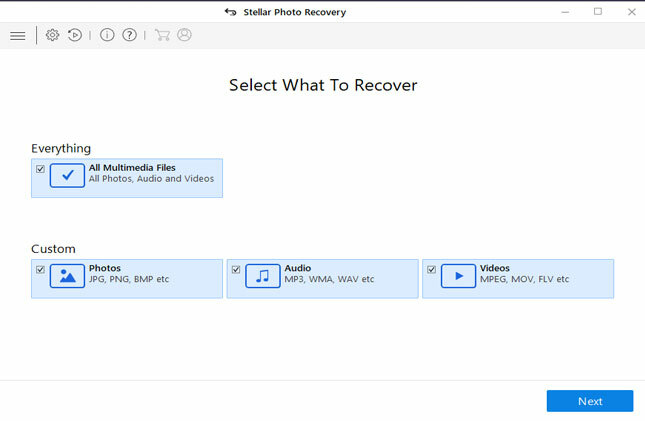 Easily restore missing or disappeared photos from SD card as well as from other several memory cards. Also retrieve pictures got lost due to accidental deletion, infected with virus, SD card errors, file system errors, etc. 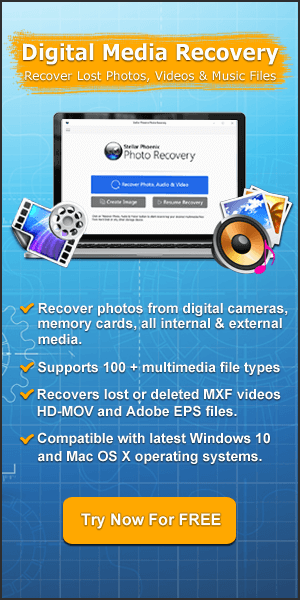 Recover disappeared or missing photos from camera memory card, Android SD card or from or from normal cell phone SD, miniSD and microSD card. 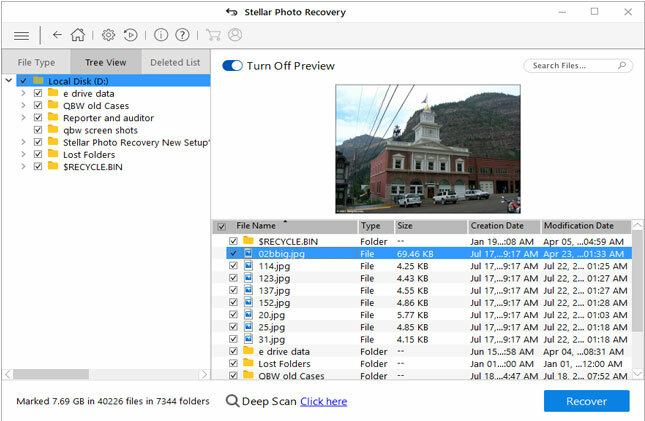 Preview recoverable photos within software before final recovery. The software is available separately for both Windows and Mac OS. Are images missing from SD used in Android phone/tablet? Are photos getting deleted by themselves from SD card? 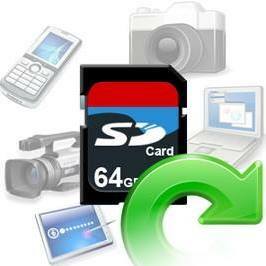 Have photos gone from your digital camera SD card for no reason? Well, photos on SD card gone rarely happens but it can occur on any types of SD card that is used in various gadgets such as Android, digital camera, etc. This problem is absolutely very annoying particularly when you lose important photos. We had a family wedding on Saturday and I used my Nikon camera to take about 100 photos. I viewed them on a relative’s new HD TV but built in card reader couldn’t read / find any photos on the card. However, their also Panasonic BD player did read the SD card and we could see the photos. However, I have tried my laptop and desktop (XP Pro) to copy the files from the card – both see no files on the card, but properties shows over 800MB of used space. Photos on SD card are showing on Root dictionary but won’t display on gallery app or digital camera, thinking all photos on SD card are gone. Unable to see photos on SD card neither from gallery app on Android nor from file explorer, but when you connect SD card to PC, you see that file is still available there as per its properties but you cannot access the photo stored on SD card. It is very tough task to understand why photos on SD card get disappeared without any warning. So, we guess that photos get missing due to mysterious reasons. Many users might think it is horrible to experience such problem, because they do not have any solutions to find and recover lost photos back. So, here I am – listed some solutions or tricks that going to help you to get rid of this problem. No matter whatever may be the reasons due to which your images are not showing on gallery app. To fix this issue, the first step you must take is to reboot your phone and after restarting your phone check your photos come back by themselves. In case of digital camera, turn Off the camera and then Turn on it and see if photos come back by themselves. Sometimes the simple steps can fix the issue. In the both Android phone and digital camera cases – Switch off the device and then remove the SD card out of the device and after 5-10 seconds re-insert it back to the SD card slot. Now check your photos if they are read correctly. If you see Nomedia (.nomedia) file on your Android phone then you must delete it. A Nomedia file tells Android to hide media files such as photos, videos and audio files from being displayed in all kind of gallery apps. It is a hidden files and it becomes invisible to all built-in File Explorer. You can check this issue by connecting your SD card with PC. Open Windows Folder option and check “Show hidden files, folders and drives” and see if there is such a file that is leading all photos in SD card are gone. To fix this issue you have to delete the Nomedia files and make them visible by gallery app on Android phone. In situation, due to software bugs, the default gallery apps may not be able to display the images stored in internal as well as external SD card of Android phone. If this is the case, then you may install another gallery app to check. This problem generally occurs due to app conflict. Please think back and try to remember – did you install any new app on your phone after which your photos on SD card are gone? If “Yes” then simply uninstall that app and then check if your photo in the Gallery app has come back. Lastly, factory reset your Android phone if none of the above mentioned solutions work for you. However, before performing the factory reset, you must keep backup of your Android data to some other data storage devices because factory resetting phone will erase all the data stored on your phone. After factory reset now check if your photos on SD card are visible by Gallery app. So, these were some troubleshooting solutions to fix photos disappeared or missing form SD card. 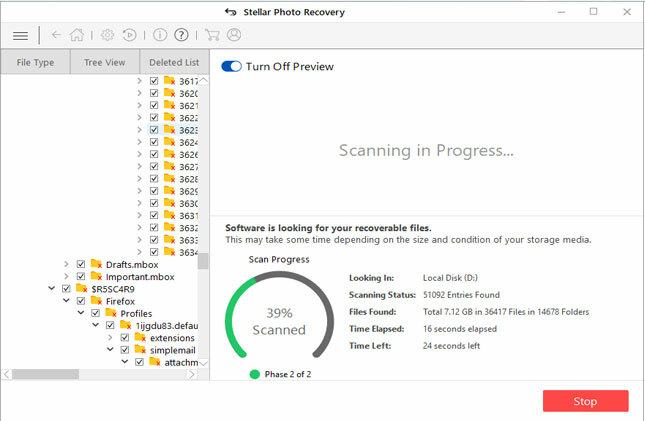 But if you still not able to find missing photos on SD card that is used in Android phone or digital camera that you wish to recover , then you have to take help of third party SD card photo recovery software. 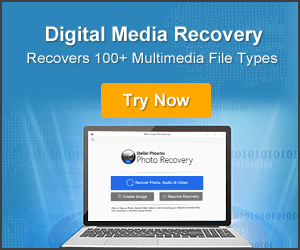 One of such recommended software is Photo Recovery, it is designed to restore missing, disappeared, lost, deleted photos as well videos and audio files from SD card. This software will help you to retrieve pictures missing from Android SD card as well as from SD card used in digital camera. The software support all types of memory card such as SD, SDHC, SDXC, miniSD, microSD, MMC, CF, xD, etc of all brands and models. Note: Once you see that photos has disappeared or missing, then you must immediately stop using it and do not add any new data on the SD card. It is because new data will overwrite the existing data and hence the chances for the recovery of missing/gone/disappeared photos will become less. Now I have covered the possible solutions to get back missing or disappeared pictures from SD card as well as how to recover disappeared pictures from SD card, I am sure you will be able fix this issue and find your lost pictures from SD card. After all, nobody wants to get interrupted by photos getting deleted by themselves on SD card while viewing them on phone or camera. 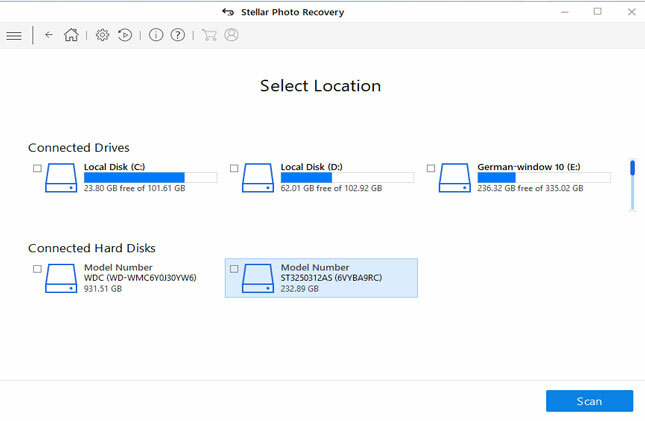 Solutions to recover photos disappeared or missing from SD Card. Try these solutions - Reboot your phone, Re-insert the SD card, Delete Nomedia File and more.